Are You Biased? Don’t Say No Until You Imagine This. You’re driving to work. Sipping your coffee. Listening to your favorite morning show. At the most traffic-jammed intersection of your drive, someone squeezes in between you and the car just ahead. How do you feel? Right. What a jerk! Now imagine you stop for gas. You try pulling out of the convenience store into the same intersection. And what happens? Nobody will let you merge. After fuming for 3 minutes you jam your way in, causing the person behind you to hit their brakes (and salute you). Now how do you feel? Right again. What a bunch of jerks! You see yourself as the hero of both of these driving stories, overcoming all those villains on the roadways. But are you always an angel on the road? Yeah, me either. 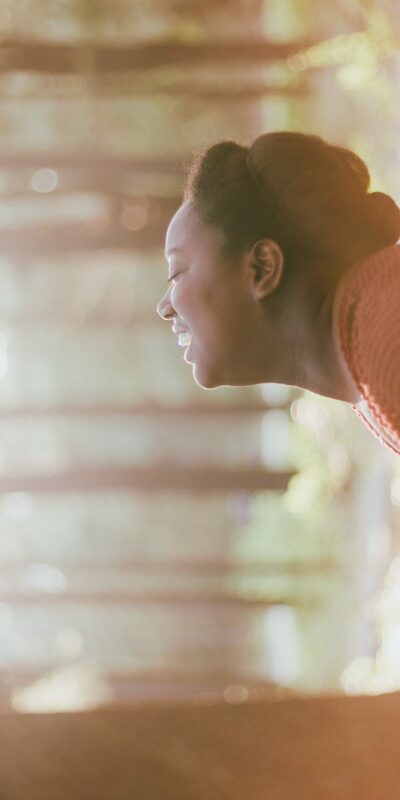 We see our own behavior in the best light possible. When we react to something (like traffic) we explain our behavior based on the situation. But the behavior of others? Well that’s a different story. We explain other people’s behavior based on traits. This is called Actor-Observer Bias (or Fundamental Attribution Error if you want to get real fancy-schmancy). And it is just one cognitive bias that impacts your leadership. Let’s Start with the Obvious. Very Few People Think They Are Biased. Bias is how other people behave (there goes that Actor-Observer bias again). Bias is a leadership “blindspot” lurking in the background. It’s rarely overt or even conscious. It’s implicit and hidden from plain sight. A quarter century ago, most psychologists believed that human behavior was primarily guided by conscious thoughts and feelings. Nowadays the majority will readily agree that much of human judgment and behavior is produced with little conscious thought. We prefer people who look like us or share similar backgrounds. Or in the case of Actor-Observer bias, we prefer people who are us. And since most of us don’t think we’re biased, we don’t question our decision-making. Banaji and Greenwald find we often react to things without even thinking about it. It is part of our System 1 (automatic) thinking. Every day we unconsciously react to people and situations based on bias we don’t realize we have. Or worse, bias that we tell ourselves we don’t have. Even professor Banaji, who dedicates his career to overcoming bias in society, tests out as showing an automatic preference in favor of Whites. We rarely think about our biases. We don’t want to think about them. Or we think we aren’t biased when our actions tell a different story. Dostoyevski calls them “colorless lies” because they are lies we don’t even reveal to ourselves. 1. Check Yourself (Before You Wreck Yourself). Step one is switch off the autopilot every once in a while. Professor Banaji and another colleague created numerous tests that reveal implicit bias. If you feel like doing some self-awareness work I encourage you to check out the Implicit Association Tests. They were very eye-opening for me (and my family). As disappointing as it was to discover that the tests revealed associations that we preferred not to have, it was even more disappointing to observe that our results for these tests changed little over time, as we took them repeatedly. Awareness of the hidden biases did not seem to help us to eradicate them. Once you understand your potential bias, instead of trying to eliminate it you should manage it. To do that you move to step 2. Someone with an accent applies for a customer service job. You don’t think they’ll be a good fit. Why? You don’t think you customers will accept talking to someone with an accent. A small person asks to be a helper in your fabrication shop. You immediately push them to the “no” pile. Why? there’s a lot of heavy lifting involved that this person probably can’t handle. One of your teammates seems to be on Facebook a little too often. They come to you with an idea to reduce the amount of time it takes to do their operation. You internally roll your eyes, figuring they are just trying to get out of more work. Each one of these might seem like a reasonable reaction. Sometimes language and weight restrictions rise to the level of actual job requirements. But we often don’t question the assumptions behind these reactions. Any of them could be due to implicit or cognitive bias. We always see our own behavior in the best light. The behavior of others? Different story. What is your evidence for the assumption? Is there any evidence that the opposite is true? Are there any resources or alternatives that could overcome the potential obstacle? Have we ever overcome a situation like this before? Is this an opportunity to re-think the way “we’ve always done” things? What new could we create from this situation? After the adoption of blind auditions, the proportion of women hired by major symphony orchestras doubled—from 20 percent to 40 percent. In retrospect it is easy to see that a virtuoso = male stereotype was an invalid but potent mindbug, undermining the orchestra’s ability to select the most talented musicians. Two things stand out about the introduction of blind auditions for orchestra hiring. First is that they did the experiment at all; few experts are able to have sufficient distrust of their own abilities to actually put themselves to a test. Second, the fix was simple and cheap—a piece of cloth. Outsmarting this particular mindbug required awareness, a desire to improve, and a method for improving. It did not need to be complicated or costly. Whenever possible, look for ways to eliminate bias by removing chances for it to happen in the first place. This removes bias from the system instead of relying on us to catch ourselves in the act. But if you still want to stop bias at the source you’ll need a new “autopilot setting” using step 3. Start thinking about implicit and cognitive bias and it’s easy to get discouraged. Leaders get the chance to act on bias dozens of times a day. And be honest. How often do you look at your employees like drivers on the road I mentioned earlier? We call this the Villain Assumption. The Villain Assumption is the opposite of the Hero Assumption (“nobody wakes up thinking they are the villain of their story”). I’d bet you’ve made the Villain Assumption toward someone on your team at least once today without realizing it. Late for a meeting? Probably wasting time on social media. Quality issue? Probably doesn’t care as much about the work as you do. Worse, you may make the Villain Assumption toward yourself. Do you ever wonder whether you have what it takes to be a great leader? Are you organized enough? Driven enough? That’s the Villain Assumption. You may have even had some thoughts like that while reading this article. In understanding mindbugs, a persuasive reason to take them seriously is self-interest: Stereotypes can negatively affect our actions toward ourselves. Therefore Step 3 is to make the Hero Assumption about your teammates. This must be your “default” position. Anytime you experience a trigger look for how the glass is half-full. Assume positive intent. When your coworker reacts think of them like the Actor instead of the Observer (the same way you would for yourself). Make the Hero Assumption Your “Default” Setting (set you and your team up for success by assuming the best and not the worst). I know you can handle it. After all, I’m making the Hero Assumption about you. Do you have any experience with implicit bias in your life? 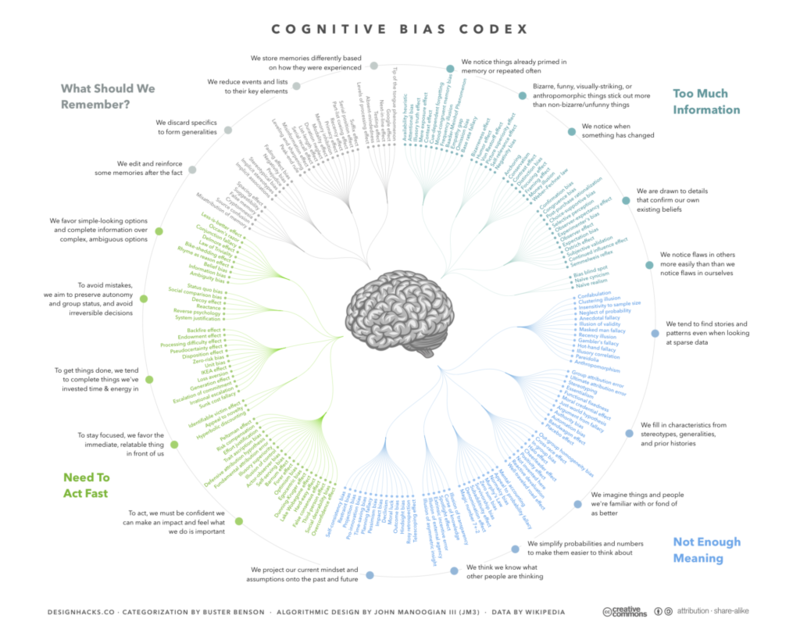 What about cognitive bias? When was the last time you tried to recognize some of your own biases. Does the Hero Assumption come naturally to you? Let us know in the comments.